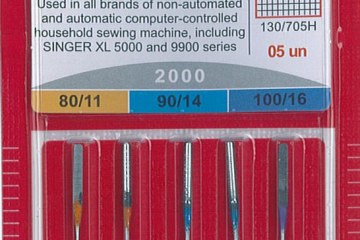 Singer Needles can change the whole look of your sewing. 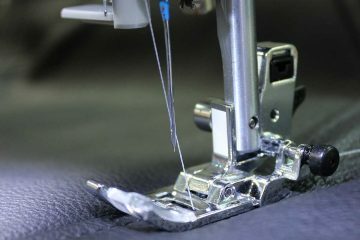 Make your needle work with you to achieve high end results in your sewing. 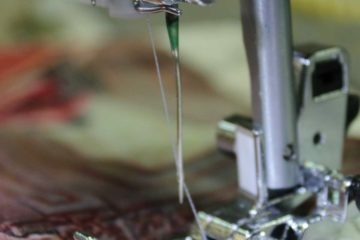 For instance, a denim needle is much stronger and suitable for heavy material, twin needles can add a decorative element and quilting needles are slim but tough enough to go through multiple layers. The Singer Stretch Fabric Needle is a ballpoint Needle which is used to prevent skipped stitches and fibre damage in knitted fabrics. 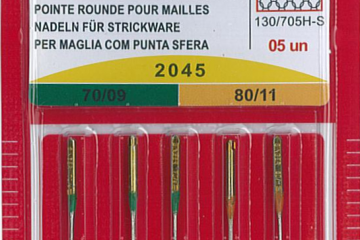 The Singer Embroidery Needle is a chromium needle which is recommended for sewing on all embroidery machines. These needles are designed to sew at high speeds without heating. Sharp needles with wide blades. 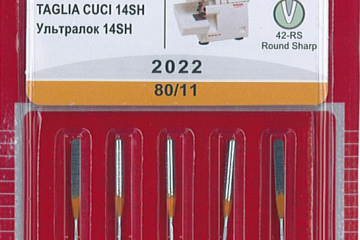 These needles are designed for decorative stitching on woven fabrics. 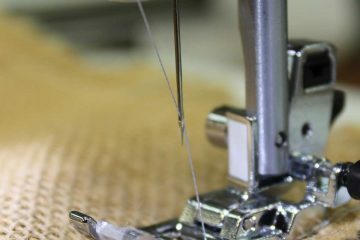 A Chromium Sharp Point Needle is necessary to penetrate heavy fabrics such as denim and canvas with reduced risk of needle breakage and skipped stitches. 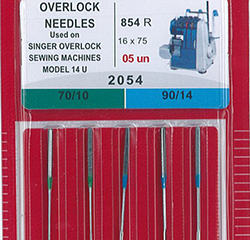 The Singer Overlocker Needle is a regular point style needle. This needle will penetrate the fabric threads of woven fabrics. 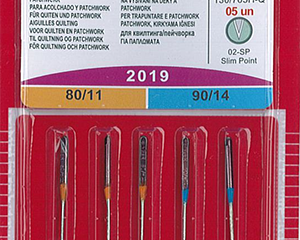 With a slim and sharp nickel needle, it is easy to penetrate through multiple quilt layers. 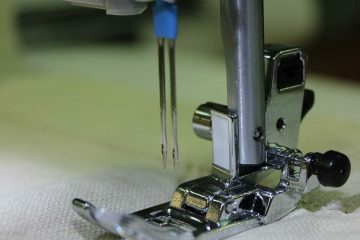 The Singer Twin Needle is 3mm wide and used for pintucks & twin needle stitching. 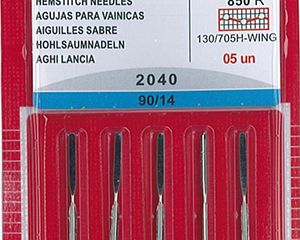 The Singer Woven Fabric Needle is a round sharp point needle which is thinner and sharper than a universal point. 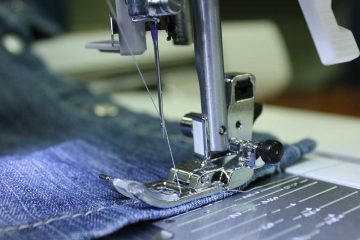 It makes a perfect straight stitch for woven fabrics.